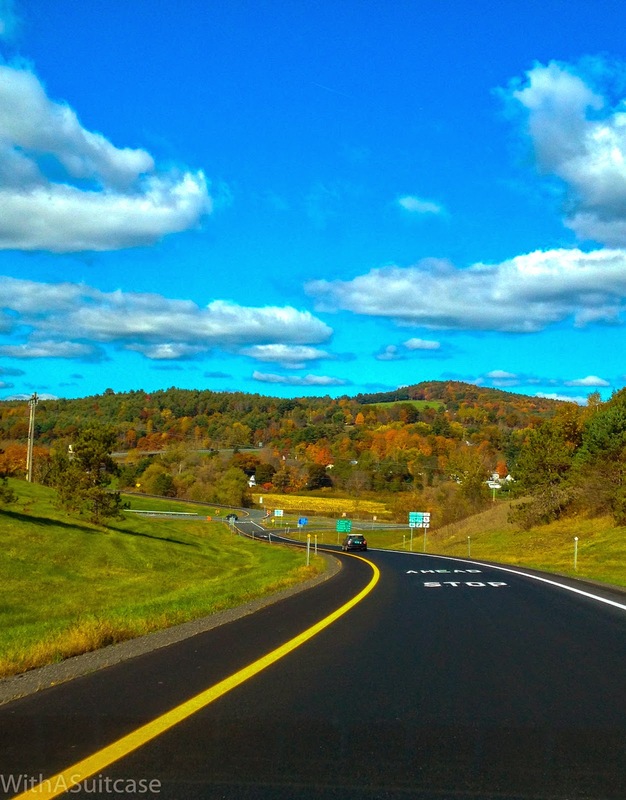 One morning, in the midst of the trees bursting with amber colored leaves, we took off on a road journey towards New Hampshire, New England’s famous fall state. Autumn had arrived without any warning. From Connecticut via the border of the green state of Vermont, the beauty was severe. The fluctuating cool winds and the filtered light of the sun made it especially ideal for travel. It seemed like this was the season of new beginnings. 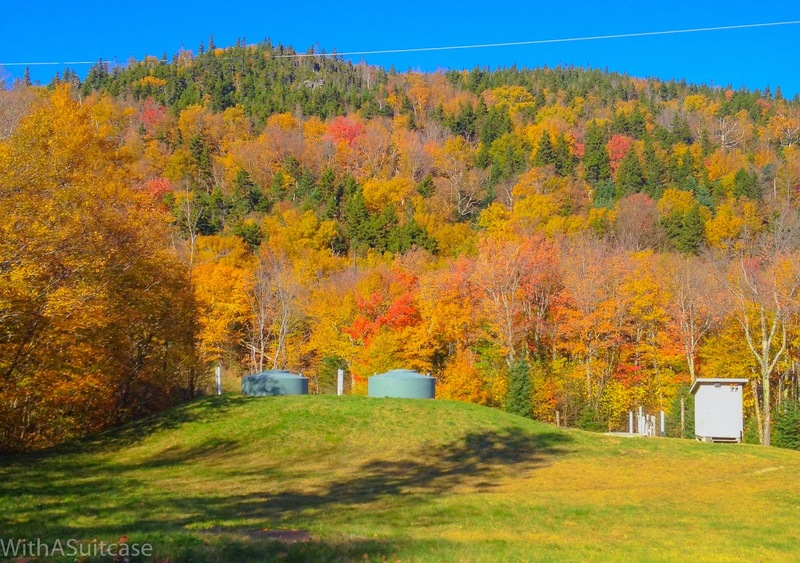 As we entered the granite state and neared the alpines of the illustrious White Mountains, peak fall begun to show itself – the air was almost wild with foliage. First, the Lost River Gorge in Kinsman Notch, a cascading stream of water that disappears into a deep abysses, ultimately leading to the River Pemigewasset. The path from here directly joins the Kancamagus Highway, a dramatic bypass road leading us through the White Mountain National Forest. Pigments in shades of cinnamon, saffron and auburn, the smell of pines, the dense forest cover, the maples, birches and spruces soaring towards the sky, the wilderness, the sound of leaves cracking in the breeze – all made for a breathtaking experience. Further along, we reached Fraconia Notch State Park, comfortably situated among the Fraconia Mountain ranges. We rode through Lincoln, a profound silence languishing over the land, until we reached Flume Gorge, a 2-mile boardwalk surrounded by a pulsating, shadowy warmth of flowers and ferns. 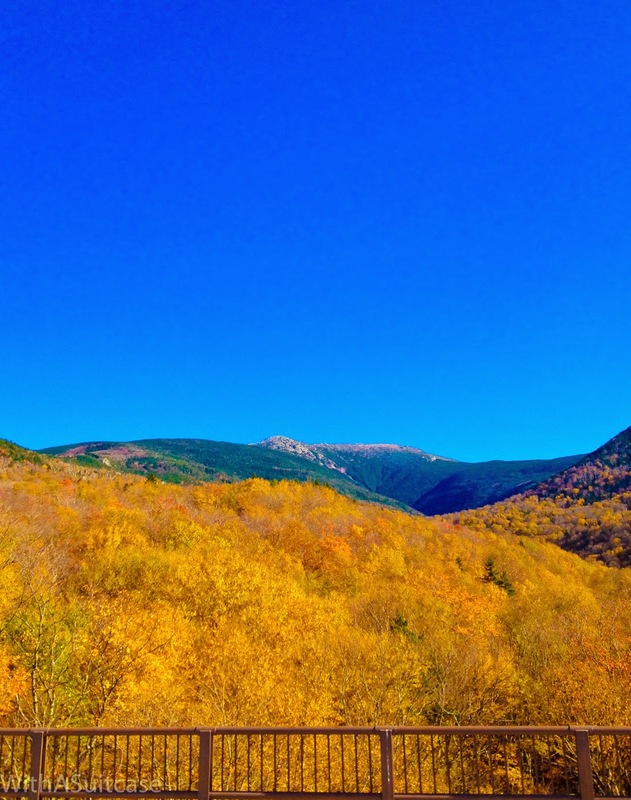 From here, we could see the peaks of Cannon Mountain silhouetted against the sky. 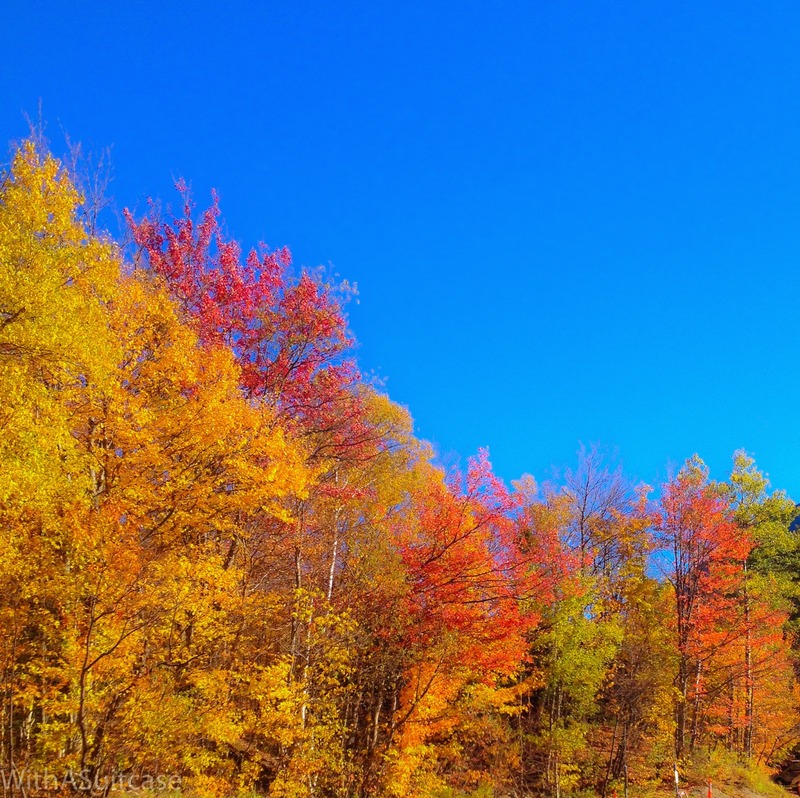 We drove towards the contouring peaks, polychrome fall leaf trees rising up on either side. As we passed through, in the gathering twilight, we chanced upon the historic little town of Gorham that took us directly to the entrance of Mount Washington. We ended our drive to- and from New Hampshire realizing, we live for experiences such as these. Now, our favorite color is October! Such a crisp write up – just like the season! Planning a weekend getaway this year, would love to get your tips in case you stayed overnight! Hey Akanksha, thanks for reading! 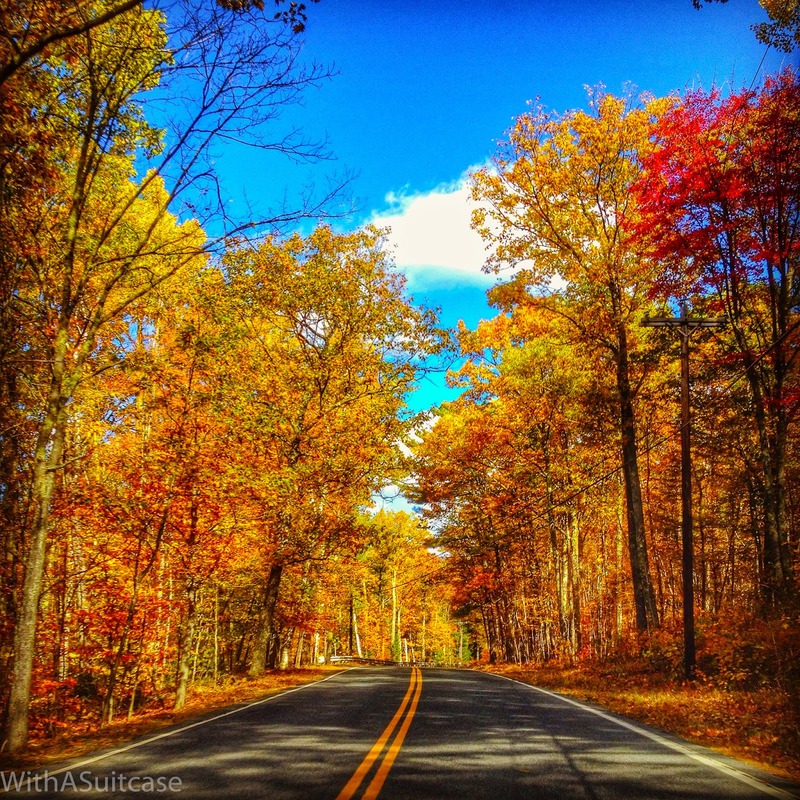 New Hampshire probably tops our list of favorite fall destinations in the US! We suggest you could drive up Mt. Washington and stay in a cabin overlooking the valley, it’s beautiful out there! Else, look for Airbnbs around the state (by lakes) – we stayed in a place in Winchester, NH, that directly led to Forest Lake. Hope this helps. Enjoy the season!